Save yourself time and pre-register to Players Club online. 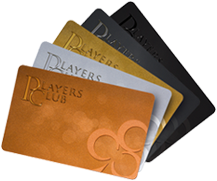 Once we have your details all you need to do is visit the Players Club desk with two forms of valid ID and our staff will present you with your brand new Players Club membership card. Pre-registration is a time-saving measure and does not substitute registration. Must be R20 to sign up. Terms and conditions apply.